Want to check the status of your or someone else’s Missouri real estate license? This post explains exactly how anyone can check the status of a Missouri real estate license. Whether you are a real estate agent or broker, it doesn’t matter if your license is active, expired, or inactive, all licensee information is kept in a central state maintained database which is publicly accessible. Go to the State of Missouri’s online portal. 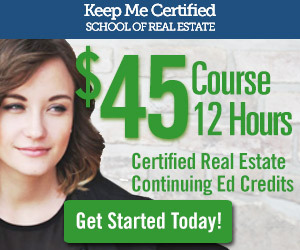 Missouri licensed real estate agents and brokers need to complete 12 credit hours of state approved continuing ed credits every two years (on even numbered years). We recently published an article: How to Renew a Missouri Real Estate License which further explains the process, fees, and general requirements.